Local voters opposed the proposed State income tax on the November ballot, but nowhere nearly as overwhelmingly as the State as a whole. Voters in the King County part of the 32nd Legislative District – Shoreline, Lake Forest Park, Kenmore and the Finn Hill area near Kirkland – gave Initiative 1098 45.61 percent of their votes, compared to 35.85 percent statewide. 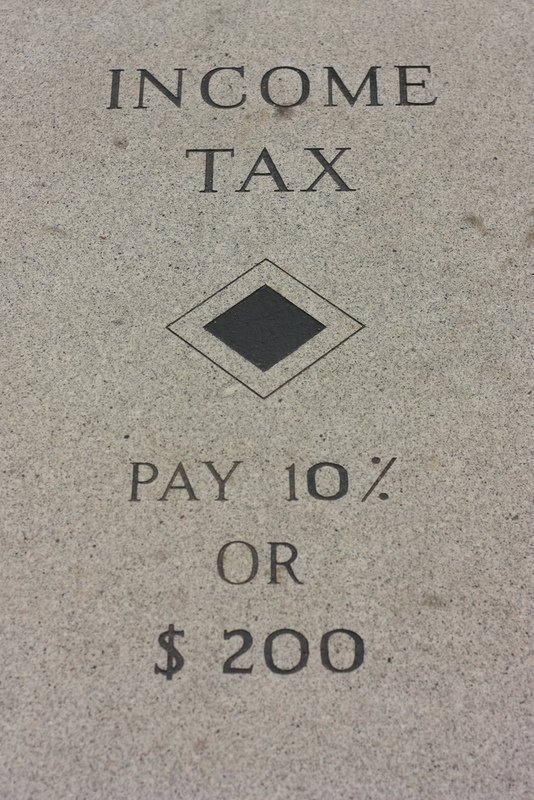 The measure would have imposed an income tax on Washington's highest earners. The secretary of state’s office released statewide results by legislative district Tuesday. Every Thursday for 8 weeks starting January 6, a bus will leave from four points in the area, including Lake Forest Park, going to Stevens Pass for an afternoon of skiing. Pick-up points are North Seattle, Lake Forest Park, Bothell and Monroe. The bus leaves North Seattle at 7:20 am, arrives at Stevens about 9:30 to 9:45 am and loads to come home at 3:45 pm. The "Patty Wagon" has done this since the early 70's and is ready to go this year. Single rides are $35, sign up for 6 to 8 trips and cost is $30. In addition, Stevens gives lift ticket discounts to all - ages 16 to 61 is $48 (reg $60), those from 62 - 69 pay $25 (reg $40) and Seniors over 70 pay $15. Coffee and snacks served on the way up and wine, coffee and treats on the way back. An easy, relaxing way to enjoy your ski day. For more information, call Patty Price at 206-546-6717 or email. The Shorewood boys’ basketball team takes a 5-4 record into its return to Wesco 3A play next week after a win and a loss Monday and Tuesday in the Surf 'N Slam Hoop Classic in San Diego. The Thunderbirds scored a 74-32 victory over a Canadian team Monday, then lost a 49-48 game to a San Diego team Tuesday. In the loss to Scripps Ranch of San Diego Tuesday, Shorewood missed a last-second shot that would have won the game. In the victory over Paul Kane High School of Saint Albert, Alberta, Gage Carroll scored a game-high 17 points. Secure pets in a safe, enclosed room, preferably one without windows. For those hosting guests at their home, consider keeping pets in a room that is off-limits to guests, with plenty of food and water. Surround pets with their favorite toys and other familiar objects. Play soothing music and keep the room as quiet as possible by closing doors, windows, and blinds. Besides the potential toxicity pets can experience from ingesting the gun powder in firecrackers, there is the obvious risk of accidentally burning or injuring pets by allowing them to be in the same vicinity as fireworks. The sound of fireworks can cause pets to enter an extreme panic mode. Scared pets can escape from a yard or dart out an open door and become lost. Make sure your pets are microchipped and wearing identification. Call to confirm that the pet's veterinarian and the microchip company have your current address and phone numbers. 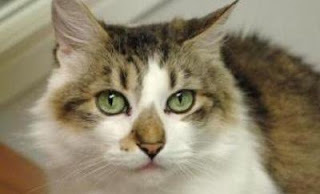 The Seattle Humane Society offers $20 microchipping (includes national registration) to animals of low-income pet owners. 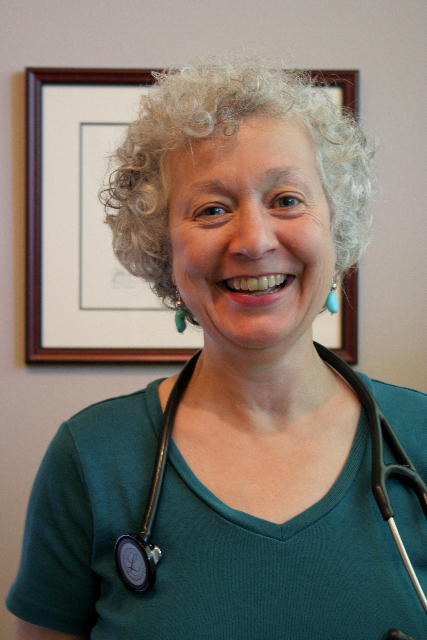 Appointments are available on a drop-in basis 7 days a week from 2 p.m. - 4 p.m. Call (425) 641-0080 for more information. 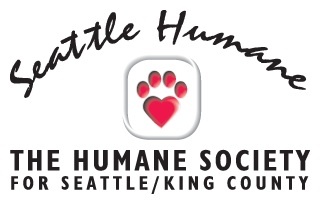 Founded in 1897 to bring people and pets together, Seattle Humane Society provides companion animals for adoption 7 days a week, pet workshops and training, a pet food bank, a low-fee spay/neuter surgery program, humane teen club, a visiting pets program and more. 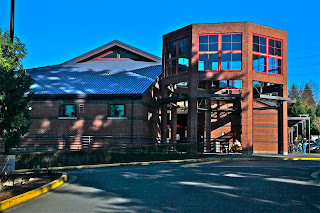 Seattle Humane Society is located in Bellevue, at 13212 SE Eastgate Way. For directions and more information, visit the website or call 425-641-0080. 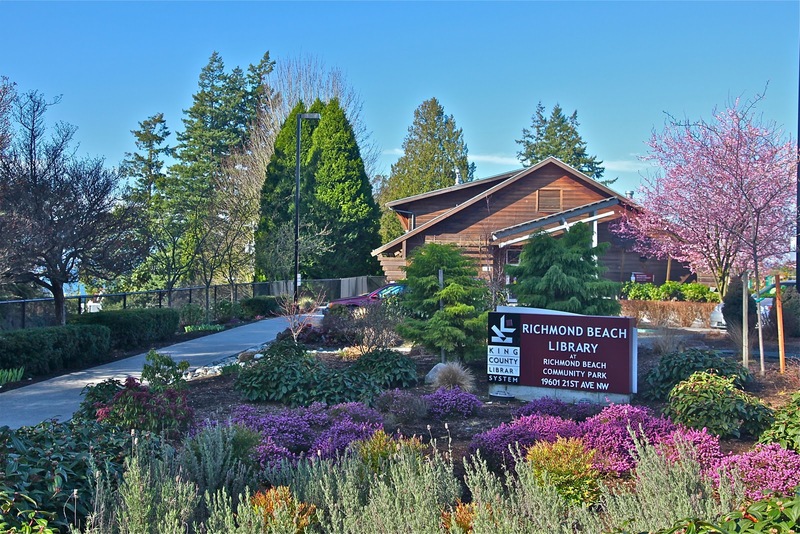 Richmond Beach Library. Photo by Steven H. Robinson. We are fortunate to live surrounded by libraries. All those books - and programs, too. The programs listed below are free and include computer classes, ESL sessions, and book discussion groups. They are different at each library. Don't forget that each library has a "Friends" group devoted to supporting the library and you are invited to participate. Improve your speaking and listening skills in this English conversation group. Please call the library for starting date of class. Learn and practice daily English language skills including reading, writing, speaking and listening. Free beginner computer classes are available at the library, including using Microsoft Word, Excel and Internet Explorer. Please call for information and registration. Held in the Third Place Commons Meeting Room. This series of workshops will help you learn to write for fun or for publication, find the right market and tantalize the editor. Get free individualized help with all stages of the process for becoming a United States citizen, from completing the application forms to preparing for a successful interview. A free English conversation group for newcomers to this country. Inquire at the Information Desk for dates and times. Volunteers from SCORE (Service Corps of Retired Executives) are available by appointment to advise current and future small business owners. Please call 206.362.7550 or stop by the Information Desk to make an appointment. Volunteers from SHIBA (Statewide Health Insurance Benefits Advisors) will offer free individual counseling in English and Chinese. The Shorecrest girls’ basketball team ran its record to 3-7 with a victory Thursday in its final game in the three-day Wesco-Kingco challenge. The Scots defeated Redmond 41-34 Thursday after losing to Juanita 65-54 Wednesday. Shorecrest takes a 2-2 Wesco 3A record into a Wednesday, Jan. 5, 7:30 p.m. home game against Mountlake Terrace. In the Wednesday loss to Juanita (4-0 Kingco 3A, 8-2 overall), Janie Uppinghouse led Shorecrest with 18 points. Shannon Schachle added 16 and Brianne Lasconia scored 14. In the Thursday 41-34 victory over Redmond (1-3 Kingco 4A, 2-7 overall), Uppinghouse scored 14 and Lasconia added 11. Lasconia leads Shorecrest in season scoring with 149 points in the team’s 10 games. by Diane Hettrick - categories are mine - reports from from police - who could make this stuff up? 11-28...145xx Stone N, apartments. Family disturbance, physical violence. 12-02...185xx Midvale N. Child neglect. Mother on drugs. 12-03...153xx Linden. Resident gets out of control and throws chairs at caregiver. 12-03...21xx N 193. Brother pulls knife on sister, physically assaults dad. Brother arrested. 12-04...178xx 3 NE. Report that subject armed with butcher knife is threatening suicide. Said he won't come out, police will have to come get him. 12-05...148xx 15 NE, apartments. Family disturbance. 12-03...16716 Aurora, Club Hollywood. Drunken argument between husband and wife. Other male intervened and got in fight with husband. 11-30...190xx Sunnyside N. Man receiving phone calls, threatening to kill his family. 12-01...SCC. Student threatened by her female friend's boyfriend or relatives. 12-06...14xx NW RB Rd. Victim said he was pushed down stairs by family friend. 12-06...7xx N 165. Subject went to pick up mail at residence, started arguing, grabbed a baseball bat and started swinging at others. Others unwilling to assist in prosecution. 11-30...10xx NW 177, adult family home. Employee and employer tensions erupt into fight when she is fired. One grabbed the other by the arm and was charged with 4th degree assault. 12-05...15200 Aurora, Old Korean BBQ. Argument between employees leads to claims of a physical fight. 11-29...155xx Ashworth N. Mail found on ground, taken from mailbox a couple of blocks away. Returned to owner. 12-03...16xx NE 199 Ct. Mail theft. Mailbox on street by residence. 12-01...946 NE 147, Paramount Park. Car prowl, window smashed, briefcase taken. 12-01...345 NE 175, SL Library. Car prowl, window shattered, briefcase taken. 12-05...200xx 8 NW. Car prowl. Items stolen. 12-06...150xx Aurora, business parking lot. Car prowl. Broke window, stole items. 12-07...16101 Greenwood, SCC parking lot. Car prowl. Window broken, items taken. 12-03...147xx Bothell Way, apartments. Purses stolen from vehicle. Debit card used at Lake City Chevron within minutes of theft. 11-30...200xx Greenwood N. Victim's credit cards used in California. 12-01...192xx 11 NE. Victim's credit card used at an emergency vet in Renton. 12-01...15xx NE 148. Victim tried to use ATM card and discovered unauthorized withdrawals from checking. 12-03...1xx N 178. Someone making charges on victim's phone number. 12-03...220xx 22 NE. US Bank called to inquire about a suspicious transaction. Credit card fraud. 11-29...200xx 10 NW. Residential burglary, stole several bikes. Owner tracked one rare one down on Craig's List. 12-02...203xx 15 NW. Residential burglary. Pulled out window air conditioner and went through bedroom window. Stole jewelry, ignored electronics. 12-02...18336 Aurora, Gateway Plaza. Commercial burglary. Cut through wall. 12-02...196xx RB Rd. Attempted burglary. Elderly female lives alone. Attempted entry by window, sliding glass door and by drilling front door lock. 11-30...17229 15 NE, Maid Brigade. Sometime overnight someone slashed 18 tires on 9 different vehicles in the parking lot. 12-05...180xx 15 NE, Tires slashed on car in apartment parking lot stall. 12-03...16713 Aurora, Therapeutic Health Svcs. Victim's wallet stolen from counter at methadone clinic. 12-05...18560 1 NE, Spartan Gym. Victim put his wallet on the sidelines of the basketball court and turned his back while he changed clothes. A few minutes later, he noticed that his wallet was gone. No suspects. 12-06...SCC. College student's cell phone stolen from his backpack on Metro bus. 12-07...N 200/Ashworth, Transit Center. Found black leather wallet containing ID cards and membership cards. 12-06...26xx NE 195, apartments. Someone tried to get to the coins on the machines in the laundry room. 12-06...18325 Aurora, Fred Meyer. Caught a shoplifter who stole a pair of shoes. 12-07...20150 Ballinger Way, Thriftway. Shoplifting teenager chased out of store. Last seen jumping over a fence behind the store and running into an apartment complex. White male, about 16 years old, five foot six, 125 pounds. 12-07...15801 Westminster, Marshall's. Known shoplifter who was taking items from the rack, removing the security tag and putting them in her purse. She got away. 11-29...14817 Aurora, Rodeway Inn. Drugs. 12-01...N 155/Westminster. Traffic stop. Confiscated marijuana pipe. 12-02...16xx N 175. Traffic stop for speeding. Driver arrested for DUI, suspected to be under influence of marijuana. Driver refused breath test, blood draw. 12-02...NW 195/8 NW. Car accident, driver DUI. 12-03...N 180/Aurora. DUI investigation referred to State Patrol. 12-04...196xx 24 NW. Driver arrested for DUI. Passenger also had been drinking. Said they were rushing to Everett hospital to see a friend. 12-06...NE 165/20 NE, Hamlin Park. Drug arrest. 12-06...N 182/Linden Fred Meyer. Drunk driver drove into back of victim's car then drove off. Victim followed drunk to nearby parking lot and called police. 12-04...N 185/Midvale N. Woman arrested for driving with suspended license, processed for DUI, also had marijuana pipe in car. 12-03...200xx Bagley Dr N, Ballinger Commons. 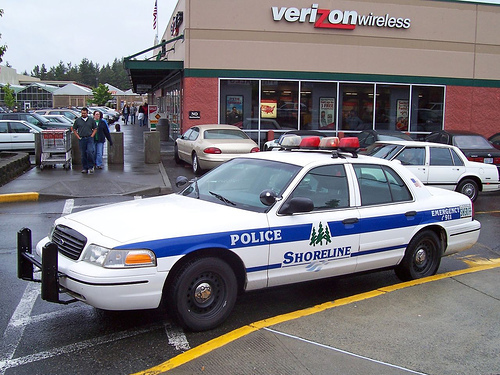 Recovered jeep stolen from Seattle in parking lot. 12-03...16731 Aurora, Shoreline Cars and Trucks. Mazda stolen from used car lot. 12-03...199xx 19 NE. Abandoned vehicle. 12-01...15343 25 NE, Shorecrest. Student's laptop stolen from his gym locker. 12-04...4xx NW 203. Shorewood student has been facing harassment after several peers got in trouble at a drinking party. Today someone placed about 50 traffic cones and some wooden signs around her vehicle in her driveway. 12-06...15343 25 NE, Shorecrest. Student forgot cell phone in classroom. Suspect took phone and tried to sell it. Service turned off. Suspect said he threw it away. Student's mother hesitant to prosecute. 12-07...15343 25 NE, Shorecrest. Student's cell phone stolen from locked gym locker. 11-29...163xx 27 NE. Picked up a blasting cap for disposal. 12-01...182xx Linden. Contacted gang members, arrested one on misdemeanor warrant. 12-03...NE 155/6 NE. Driver had false identification, no valid ID, altered car tabs, and warrant. Cited for obstructing an officer. 12-03...16610 Aurora, Evergreen RV. Suspects entered RV and moved in for a while. 12-03...180xx Stone N, duplex. Officers went to meet with woman in a red truck who said her boyfriend had assaulted her. She was uncooperative, would not give name, had no valid license to drive. Cited for driving with suspended license. 12-05...16526 Aurora, Shoreline Motel. A man followed two prostitutes off the bus to the motel. They called police and one was arrested for misdemeanor warrants. 12-04...192xx 12 NE. Ongoing problem between downstairs and upstairs tenants. Upstairs unit has electrical box for entire house and woman upstairs keeps turning it off. 12-04...192xx 12 NE. Served anti-harassment order. 12-08...147xx 22 NE. Juvenile chronic runaway, ran away. The Washington State Department of Transportation (WSDOT) predicts icy roads for the morning commute and offers some online tools for drivers. We were just south of the freezing line today and all of the snow that fell didn't stick. Shoreline dodged this one. Freezing temperatures tonight, dipping probably into the upper 20's will freeze most of the side streets that are still wet. Be careful out there tonight and in the morning commute, watch for patches of ice, the roads will be slick. Stay warm and safe! 1. Avoid drinking and driving. A cab is way cheaper than a DUI ticket, and the police are really out in force this year. Better yet, arrange in advance to celebrate at a friends' house and to spend the night. Or if you go out with a group, one of you can surely agree to be a designated driver for the rest. 2. For all designated drivers, bravo! You are helping to keep everyone safer. Plus, you won't have a hangover the next day. And it can be really entertaining to see what your friends look like drunk. It's especially fun when they are assuring you that they feel no effects and are not impaired in any way. Maybe you'd better collect the car keys before the party starts. 3. Do not ever smoke in bed. Or put clothing, bedding, decorative pillows, kids' stuffed toys or anything flammable or that can burn, where it can cover a wall heater or space heater. Fires happen, and a heater can be turned on, but not running at the moment that you look at it. 4. Speaking of heaters, if the power goes out, never EVER use a propane heater, hibachi, or BBQ inside the house. Seriously, carbon monoxide poisoning can kill you, plus there is a fire hazard. 5. Don't walk out of the room and leave candles burning. Nothing says 911 like a puddle of burning wax. 6. Do not discharge firearms in celebration. It's illegal to discharge firearms within city limits. And the bullets don't just go into the air and stay there - they land somewhere. 7. Leave the fireworks to the professionals. They are illegal because even if you don't blow your fingers off, you may start a fire, not to mention scaring the dogs and making the neighbors think they are hearing gunfire. Make sure your teenagers don't have plans involving fireworks. 8. If you see unsafe driving, smoke or flames where there should be none, or anyone discharging firearms or fireworks, please call 911 - trained professionals are paid by you and me to deal with these things. Do not follow an unsafe driver, but do call in the license plate, car description, location and heading - and then stay out of their way. 9. Does everyone have the non-emergency numbers handy? It's who you call if you don't have a 911 emergency situation, but you want to report something. Go to King County's Links by Zip, enter your zip code, and print out and post the list of numbers. Everything from non-emergency police numbers, to the crisis clinic. 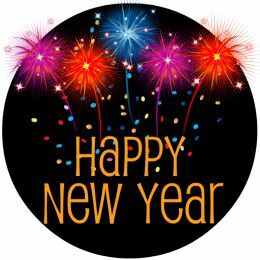 In keeping with my best wishes, please have a very happy, but SAFE New Year! I will be staying in and toasting NYE with my lovely husband - I may have a neighbor or three over, and walking will be our transportation to our own homes afterwards. Victoria Rhoades, ND practices in Lake Forest Park. Experience various meditation practices with in-class practice, discussion and home practice to help you choose a mindfulness practice that works best for you. Whether you are drawn to meditation for wellness or as a spiritual practice, studies show regular, daily mindfulness meditation practice rewires the brain in eight weeks to help manage stress, increase physical & emotional resilience, modulate fear and cultivate self awareness. Instructor: Cynthia Westby, M.A. has 30 years experience as a meditator and 10 years experience teaching mindfulness. Class held at Shoreline UU Mondays, 7-9 pm on January 3, 10, 17, 24; February 28, March 7,14 and 21 (two 4-week sessions with a break between). Contact Cynthia by email or phone 206-714-2814. The Shorecrest and Shorewood girls’ basketball teams continue play in the Kingco-Wesco Challenge Wednesday and Thursday after Tuesday losses. Shorecrest took a 2-6 overall record (2-2 Wesco 3A) into a 4:15 p.m. Wednesday game at Juanita (4-0 Kingco 3A, 6-2 overall) and a 2:30 p.m. Thursday game against Redmond (1-3 Kingco 4A, 2-5 overall) at Juanita, after a 44-39 loss to Bellevue (1-3 Kingco 3A, 2-6 overall) Tuesday. Shorewood took a 2-6 overall record (1-3 Wesco 3A) into a 7:45 p.m. Wednesday game against Liberty (3-1 Kingco 3A, 6-2 overall) at Juanita and a 7:45 p.m. Thursday game at Mount Si (3-1 Kingco 3A, 5-3 overall), after a 47-43 loss to Roosevelt (2-2 Kingco 4A, 4-3 overall) Tuesday. In Shorecrest’s 44-39 loss to Bellevue, Brianne Lasconia led the Scots with 15 points and Janie Uppinghouse added 12. In Shorewood’s 47-43 loss to Roosevelt, Shorewood’s rally in the fourth quarter fell short. The Thunderbirds trailed 40-26 going into the fourth but outscored Roosevelt 17-7 in the final frame to make a game of it. Masha Shtikel scored 13 points and Erin Ellersick added 10. Both Shorecrest and Shorewood return to Wesco 3A play Wednesday, Jan. 5, with Shorecrest playing host to Mountlake Terrace and Shorewood playing at Glacier Peak. Bellevue 44, Shorecrest 39, at Juanita H.S. Local voters in the November election supported the initiative to require a two-thirds vote of the Legislature for tax increases, but they approved it by a far smaller margin than voters statewide gave to Initiative 1053. 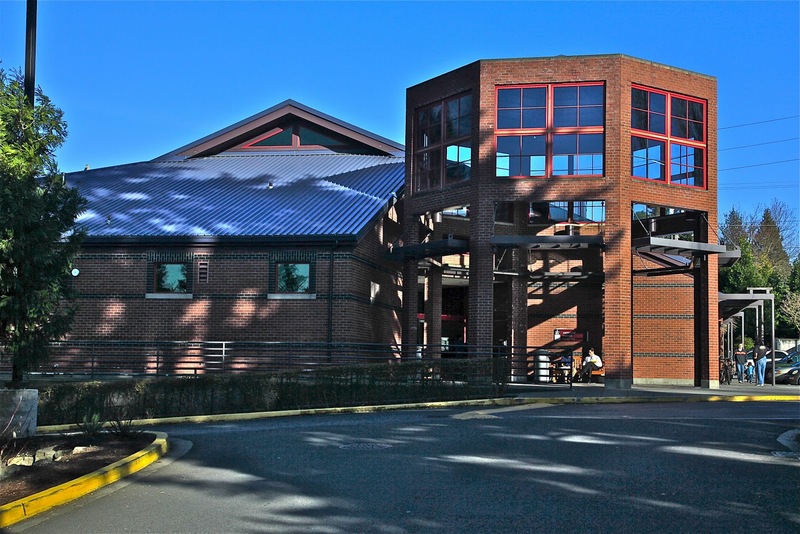 Voters in the King County portion of the 32nd Legislative District – Shoreline, Lake Forest Park, Kenmore and the Finn Hill area near Kirkland – gave the measure a 53.74 percent “yes” vote, compared to 63.75 percent statewide. The Tim-Eyman-sponsored initiative requires either a two-thirds vote of both houses of the Legislature or a statewide public vote to start or increase any tax and a majority vote of the Legislature to increase any State fee. The secretary of state’s office released statewide election returns by legislative district Tuesday. 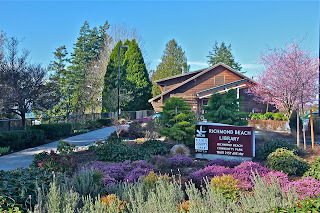 Shoreline Library. Photo by Steven H. Robinson. Each of our three libraries has ongoing activities specifically for teens, including tutors to help with homework when school is in session. When school is in session. Drop in for homework help from trained volunteer tutors. Improve speaking and listening skills in this English conversation group for students in middle, high school and college. Play multi-player videogames and create a full-wall mural! Drop-in during scheduled Study Zone hours for free homework help from volunteer tutors. What are you reading? Watching? Listening to? Come talk, share ideas and eat free pizza! Get your creative energy flowing! Try a few creative writing experiments in a supportive environment. Play Wii, PS2 and Xbox at the library. Read three books, write three thoughtful reviews and get a prize book...free! Pick up a form at the Information Desk. Join the Teen Advisory Board and make decisions about what happens in your library. Ask at the Information Desk for dates and times. The rider of the motor scooter (not motorcycle as previously reported) has died of his injuries in the two-vehicle collision at 19th and Ballinger on Monday evening, December 27. 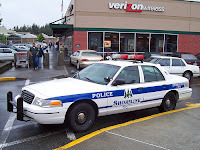 The Washington State Patrol reports that an 18 year old Edmonds man was driving a Scion passenger car east on Ballinger (State Route 104) in Shoreline, turning left onto 19th Ave. NE. The rider of a Zhongneng scooter, a 63 year old Bothell man, traveling west on State Route 104 struck the Scion in the front bumper. The rider was thrown from the scooter and taken to the hospital but did not survive his injuries. The cause of the collision is still under investigation but heavy rain that decreased visibility is believed to be a factor. "Now more than ever the Washington State Patrol urges motorists to drive with caution. Rain and snow are only a few of the challenges that decrease visibility on the roadway. Take time to make sure all vehicle lights are functional and not covered by snow or dirt. Motorcycle and bicycle riders should use extra caution and wear visible clothing with reflective striping to increase visibility." Shoreline 9:09 am. A very narrow Puget Sound Convergence zone shower has developed and is shifting slowly south from Everett and has now reached Shoreline. I've been watching the radar this morning and it seems to be "wiggling" around in the area. It is expected to get stronger in the early afternoon and appears to have established its spot over or near our area. At 8:09 AM the National Weather service of Seattle issued a winter weather advisory for the Everett-area, including Lynnwood, and we appear to be effected as well. Accumulations 1-3 inches expected with possibly 5 inches in some spots. I suspect this may change soon to cover North King County as well. What exactly is a Puget Sound Convergence zone? A Puget sound convergence zone is when you have winds blowing out of the north, north of Everett, and winds blowing out of the south, south of Seattle. When the two winds collide in the middle some where, (Between Seattle and Everett typically, Shoreline-Lynnwood being the hot spot) the wind goes up towards the sky. This cools the air rapidly causing water vapor to condense into clouds, and eventually precipitation if the winds are strong enough. Fluctuations in the north winds, or south winds can cause the convergence zone to drift north or south, which is what makes these types of events very difficult to predict an effected location. Also, if the precipitation is intense enough, it can bring down colder atmospheric air, bringing surface temperatures below freezing, resulting in snowfall and freezing roads, even though 10 miles away it could be 45°F. Normally a strong westerly wind that is split by the Olympic Mountain range, causing equal north and south winds as they round the mountain range and get trapped between the Olympics and the Cascades. These rarely produce any accumulating snow showers. The snow producing ones typically are caused when a low pressure traveling south of the state is pushing moist air up north through the Puget Sound, while also dragging cold air down from British Columbia. This was what caused our Thanksgiving week snowstorm.